Are your Excel formulas getting out of control? Here’s an easy method to insert comments, so that you can keep track of what’s what. 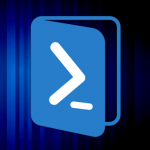 Use this simple PowerShell script to merge multiple CSV/TSV/TXT files into one. Use this Visual Basic script in Microsoft Excel to duplicate cells a specified number of times. A simple VBA script for rearranging the order of columns in an Excel spreadsheet. A nifty PowerShell script that will take a delimited CSV file and convert it to a XLSX file. A small Visual Basic for Applications (VBA) script which will loop through all sheets in an Excel workbook and convert text to columns. A convenient PowerShell script that will detect all of the CSV files in a directory and merge them into a single XLSX file. 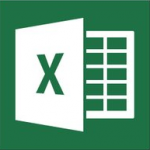 Each CSV becomes a worksheet in the XLSX. Use this simple VBA script to delete all columns in a worksheet except those that are specifically named. Use this simple Visual Basic for Applications script to list every external link within an Excel workbook.